Please note: Rate without breakfast is possible , please ask reception . 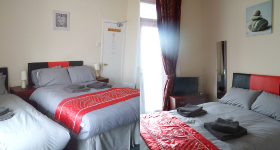 £85.00 – 110.00 Per Room / Per Night. 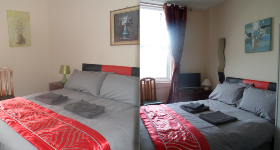 £70.00 – 90.00 Per Room / Per Night. Note: Group Discount and Contractors are welcome please phone the hotel for a quotation. Deposit of 30% is required and Non-refundable. Cancellation Policy: 48 hours notice prior to arrival. Full amount would not be charged. We do not have a lift, please mentioned upon booking if you require a room located at the ground or First floor. The Hotel is undergoing some refurbishment and Back Garden is not accessible at the moment.